Prenatal Yoga and Why You Should do it, Mamas. 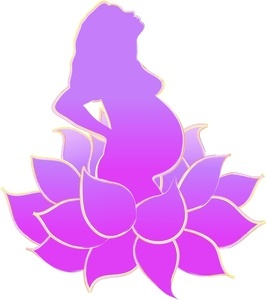 I just finished my yoga teacher training when I got pregnant. I was in the best shape of my life after having practiced yoga at least twice a day for a month, eating only vegetarian food, giving up wine and limiting my sugar intake to a little good chocolate. And spiritually, I had spent a month meditating on whether or not it was within my dharma to be a mother. What I wish someone had told me, after a month of exerting conscious effort to draw my physical and mental energy upward, was that becoming pregnant was like turning the hourglass upside down: everything my body and my mind had suddenly and radically dropped down into my womb. The exhaustion, the nausea, the extreme dreams made me feel like I had fallen down a black hole. I fell away from my practice and ate and slept my way through the first trimester. This is how nature sets it up, rerouting the bodies energy to form a placenta (can we just pause and note the miracle of the pregnant bodies’ ability to build a new organ whose sole job is to nourish a new baby?) but good grief! It felt like my body had been the victim of an alien attack and something else beside me was moving my limbs. Had I to do it all over again, and who knows I may, I would immediately seek out a prenatal class from the very git. Because even after completing my own training, I did not know how to reconnect with my body through all this new experience. When I finally found a class, it was like climbing into a warm bath. I had to relearn how work with my own sensitivities, to deeply relax and in doing so, discovered a whole new store of energy. I began an in vitro dialogue with my baby that continues to this moment. And I also learned how to conquer heartburn, backaches and swollen ankles. My birth was a beautiful experience but there were many, many moments that everything could have gone off the rails. Certainly I was lucky; birth is not a solo but a duet and it often doesn’t turn out how we plan or expect. But the preparation of doing some simple breathing, stretching and movement sets up the nervous system for the full-tilt, hard work of labor. Mentally, yoga allows us to release some of our expectations and be present to the moment when our baby arrives. It’s not just my anecdotal experience either, the research shows that women who practice are less likely to develop preclampsia, high blood pressure, diabetes and a host of other complications that can arise with pregnancy. It shortens active labor time, it makes tearing less likely. Witnessing a roomful of mamas treat their bodies and their babies with respect and awareness is tremendously rewarding. And being one of those mamas, doubly so.